Bioidentical hormones are molecularly identical to natural hormones. Consequently, they have led to many people to believe that they are safer than synthetic hormones, though these claims are unfounded. Many people use these hormones to find relief from menopausal signs and symptoms. For example, they have been marketed at people to help improve their overall health. This article will discuss what bioidentical hormones are, how they are used, and their effects on the body. Women who are going through menopause can face a tough time, so it is imperative to know how best to alleviate any signs or symptoms of this life stage. 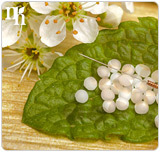 Extracted from plants, bioidentical hormones are identical to the hormones that are naturally produced in the body. They are a hormone treatment that helps menopausal women overcome the unpleasant signs and symptoms of menopause. Bioidentical hormones are sometimes used during hormone replacement therapy (HRT), although the traditional, synthetic hormones are more common. As a consequence, bioidentical hormones can be extremely helpful in assisting menopausal women to overcome the unpleasant signs and symptoms of hormonal imbalance. What Are the Side Effects of Using Bioidentical Hormones? Doctors often say that using bioidentical hormones is preferable to synthetic hormones, because they are closer to the ones naturally produced in the body. However, this is not proven, and actually there are people who think they can have an equally damaging influence when they are introduced into the body. This is because there is little information available that proves the hormones to be risk free. Read on to learn about the alternative treatments available for hormonal imbalance in menopausal women. Exercising regularly. It is recommended to do at least half an hour, five times a week. Eating a healthy and balanced diet that is filled with fruits and vegetables. Sleeping for at least 7 to 8 hours a night. Drinking eight glasses of water a day. Avoiding taking on stressful responsibilities. Click on the following link for more information about hormonal imbalance and possible alternatives to bioidentical hormones.